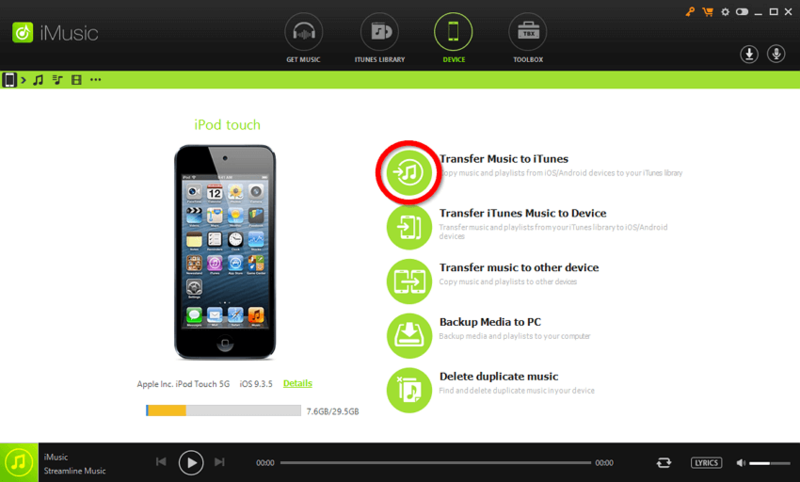 How can a person transfer playlist from iPod to iTunes? 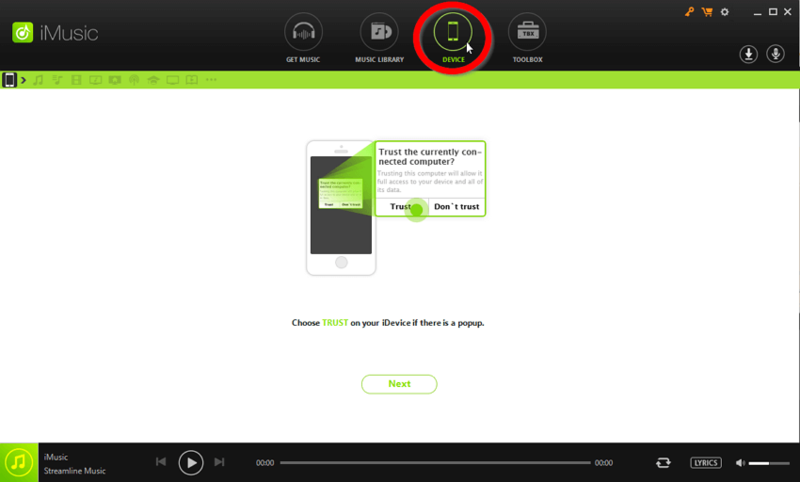 The most common method is to use iTunes directly. It, after all, has an automatic sync option that will allow one to transfer music almost instantaneously. The only problem with that is, the transfer won’t necessarily apply to music that wasn’t purchased from the Apple Store (in fact using iTunes is probably the quickest way to getting your songs deleted.) That is why people look to third-party programs in order to copy their playlists from iPod to iTunes. 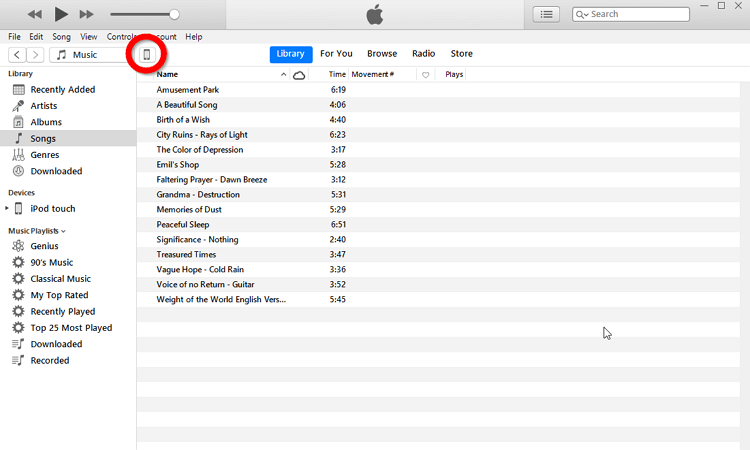 Continue reading if you want to learn our favorite methods of moving playlists to your iTunes library! 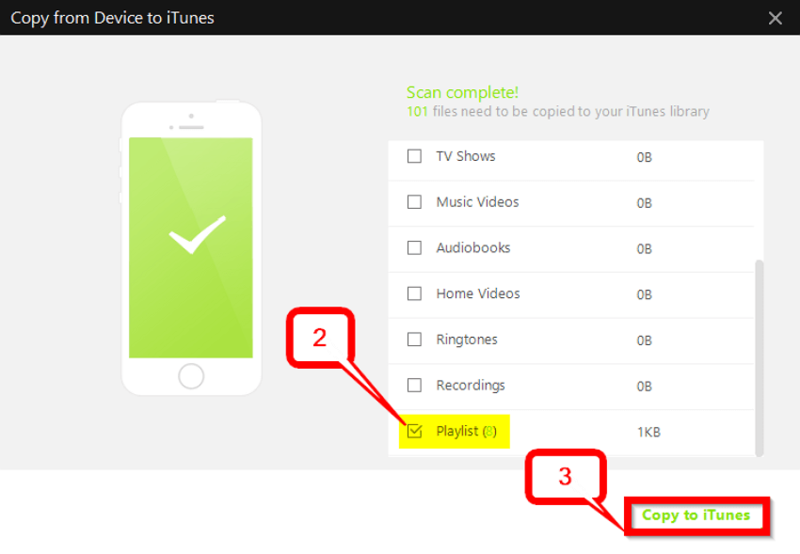 Copy full playlist from ipod/ipad to iTunes with simple clicks. Non-restricted iPod to iTunes playlist transfer . Easy and Safe iTunes to iPod playlist transfer. Page available for viewing and editing playlists . Extra tools for creating new playlists and deleting old ones. Full back up of a device for future restoration purposes. First up, if you want to be able to follow along with what we’re going to be demonstrating, you can download and install a FREE trial of iMusic from here. This should allow you to experience the program’s features first-hand. If it is your first-time transferring data for this particular device to your computer, you might be asked to give your PC permission to access your iPod’s data. Don’t worry, this is completely safe, and something you would have to do even if you were using a more known program like iTunes. 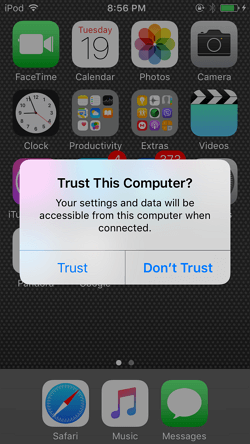 Just click the Trust this computer option when it appears on your screen. 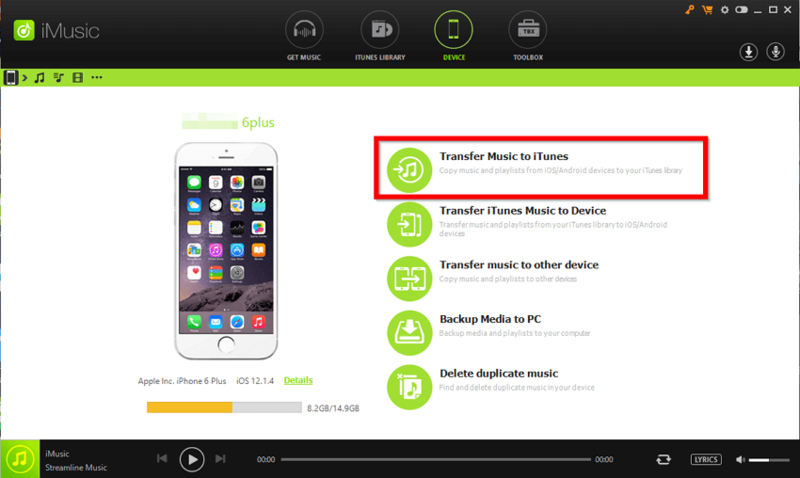 Now, in order to use iMusic to transfer playlist from iPod to iTunes, all you really have to do to start is select the “Transfer Music iTunes” — which should appear on the device page after your PC has been granted access to your device. Of course, you’ll also have to make sure that “Playlist” is selected (which is listed a bit further down (scroll to the very end.) 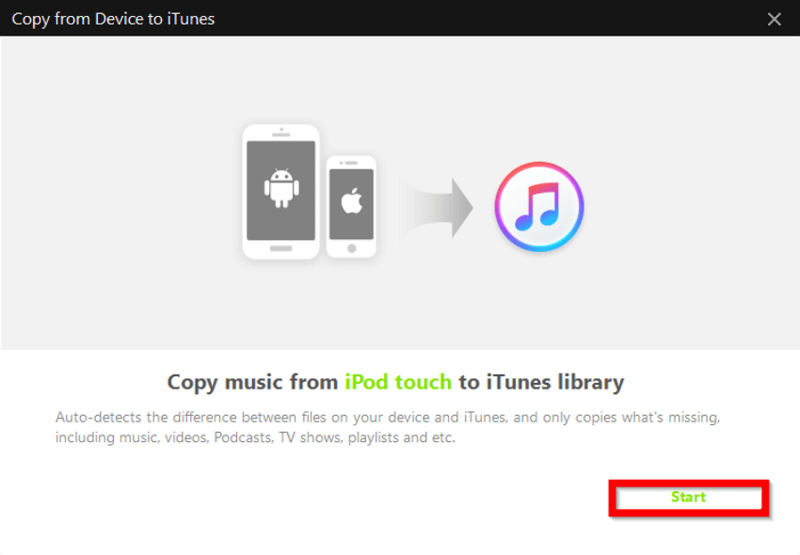 Once you have those two selected, you can click the “Copy to iTunes” button and let iMusic automatically transfer all of your songs and playlists from your iPod to iTunes! Next, let’s go over the more common method of adding playlists to an iPod with the actual iTunes software! For this, we’ll be demonstrating the automatic sync option. Which is great for those whose library is made up of items from the Apple Store. However, it won’t work very well for those who source their music from other markets. In fact, it’s a very restricted option that doesn’t allow for much wiggle room. There is a big restriction when it comes to transferring music/playlists from iPod to iTunes. Especially if the playlists are filled with non-apple music items. You run the risk of deleting your files entirely if you go through with it. It is either you sacrifice those non-apple music items or not at all (you won’t be able to use the automatic sync feature unless those items are removed.) . If you choose this option and select “Apply” > “Sync” all the items on your iPod library should be moved to your iTunes library. If you want to be more specific about what you transfer, you can always choose the “Sync Music” > “Selected playlists…” option and specify which of the available playlists from your device you want to transfer. Upon launching the TunesGo software (which you can download and install from here), you should have automatically been moved to the “Home” page. This is where you’ll find the different transfer (and important non-transfer) tools that TunesGo has made available. For our purpose of transferring a playlist to iTunes, we’re going to choose the “Rebuild iTunes Library” option. 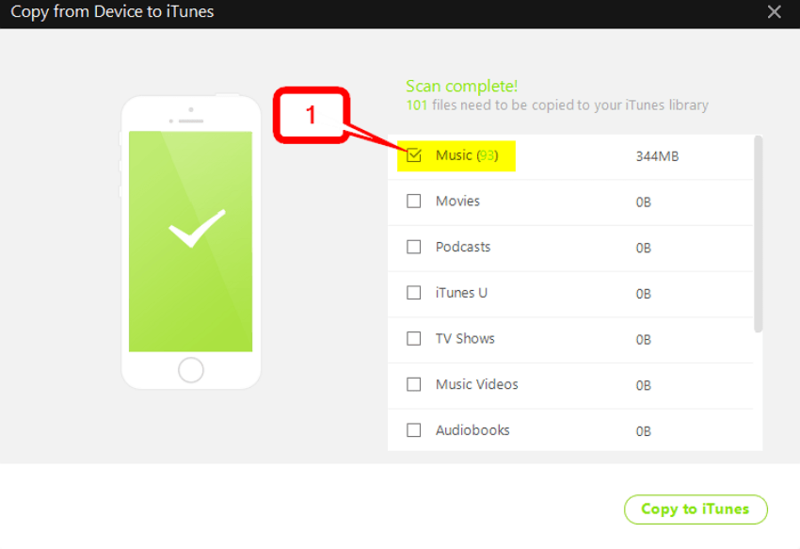 Much like with iMusic, TunesGo will have to scan both your device and your iTunes library in order to be able to transfer files without duplication. Click the “Start” button in order to commence the automatic scan. It shouldn’t take too long. Again, much like with iMusic, you’re given the option to select the files that you want to move from your iPod to your iTunes library. To do so, first, make sure that you have the “Music” box selected. Once you have “Music” selected, you can scroll down (to the very end of the list) in order to see the “Playlist” option. Select that as well, before finishing up by clicking the blue Start button on the bottom of the window. For our last program, we’re going to introduce another third-party transfer software. Again, very similar to iMusic. This one is called iTransfer. The steps, as you will see, is pretty much identical to the previous. It’s just that the interfacing between this program and the previous that is ever so slightly different. Launch the iTransfer program (which you can download and install from here), and you should be automatically on the “Home” page. There, you’ll need to select the “Rebuild iTunes Library” option. Just click Start to allow iTransfer to scan your device and iTunes library in order to determine what needs to be moved and prevent duplication. Much like before, you’ll need to make sure that you have the “Music” box selected. 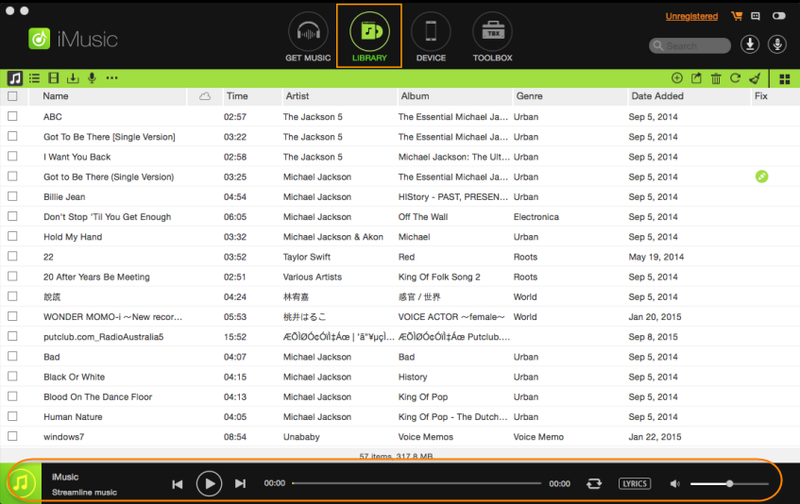 Once you have the “Music” box selected, you’ll have to scroll down in order to also select the “Playlist” box. After clicking the green Start button, your music and playlists should now have been transferred to your iTunes library. Conclusion: There really isn’t much of a difference between all the four programs that we discussed. In the end, each one can be used to transfer playlist from iPod to iTunes. Of course, as we’ve mentioned previously, you probably won’t be able to transfer files smoothly using iTunes if your music was bought from other sources. However, for the three third-party software that we introduced, that is not a problem. That is why we would ultimately recommend opting for the stress-free route of using iMusic. Which is, arguably, a lot more convenient and efficient than most common methods.